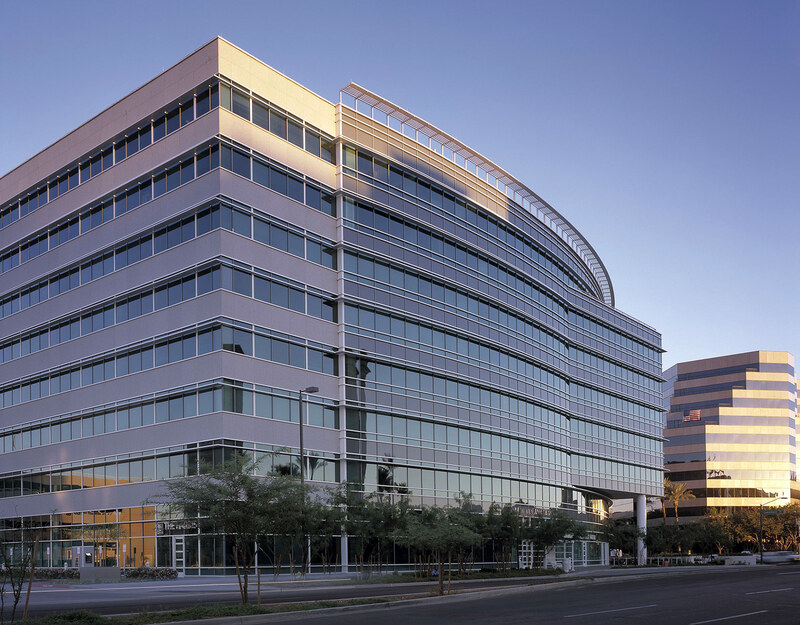 This is the first phase of a planned 8.5 acre mixed-use development located at 24th Street and Camelback Road – Phoenix’s premier office and retail address. 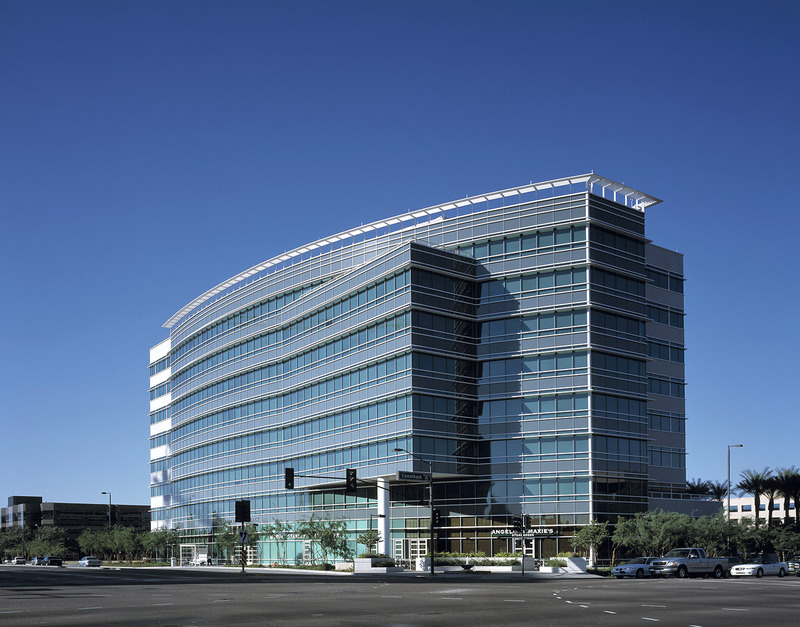 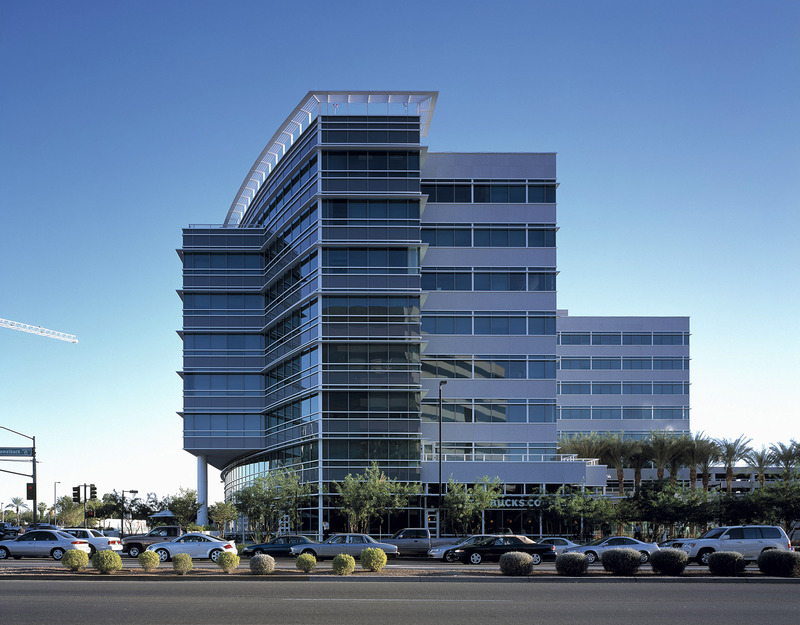 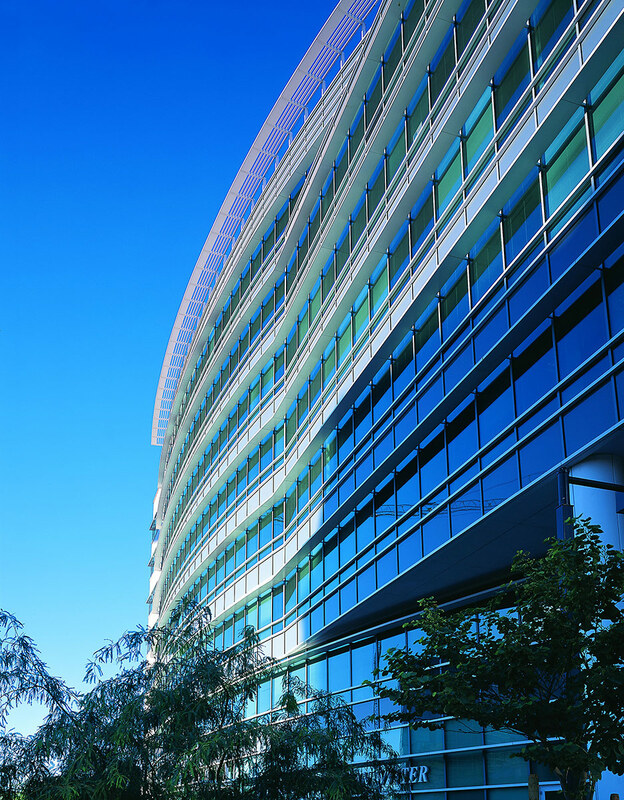 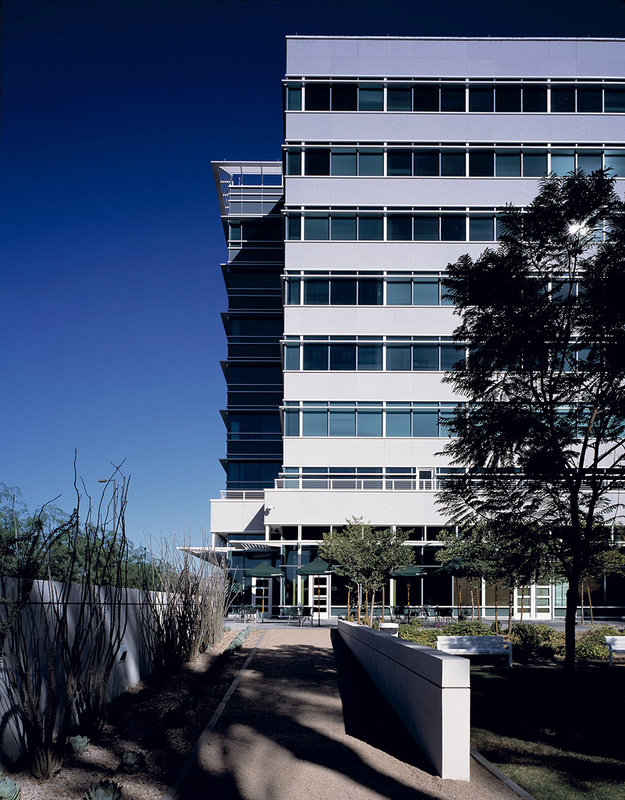 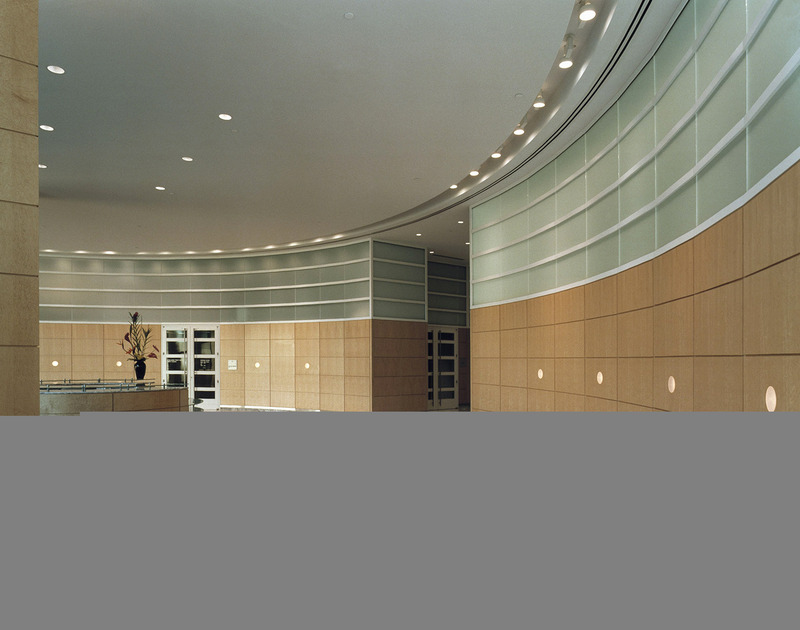 The handsomely designed building responds to the conditions of the site with alternating horizontal bands of Rosa Beta granite and glass facing south and west and a sweeping curved glass façade facing north and east that affords views of Camelback Mountain. 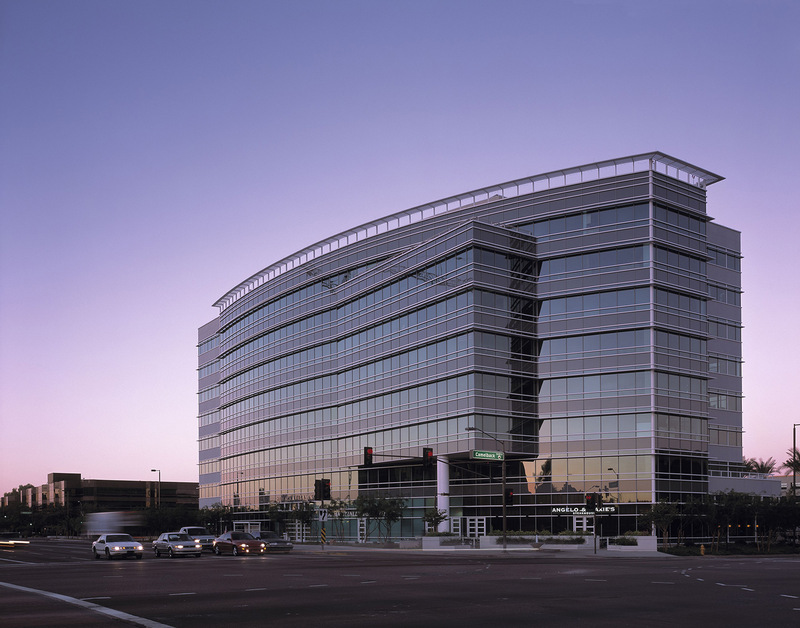 Aluminum sunshades at each window head mitigate the strong Arizona sun. 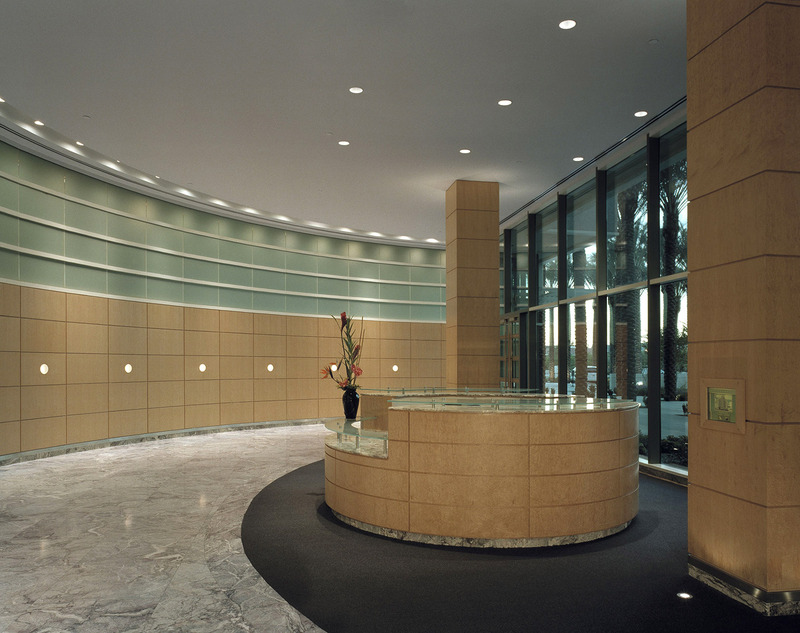 Ground floor retail and a building lobby with Fiore del Pesco marble flooring and maple wood paneling open to a landscaped urban plaza.